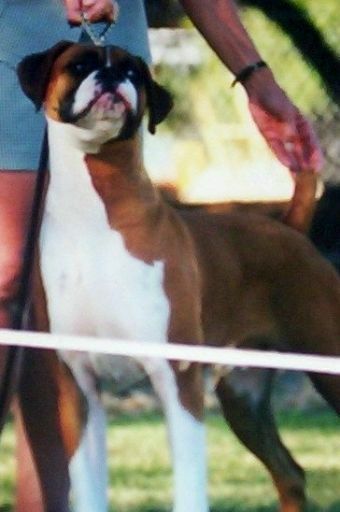 Monty was our first show boxer. 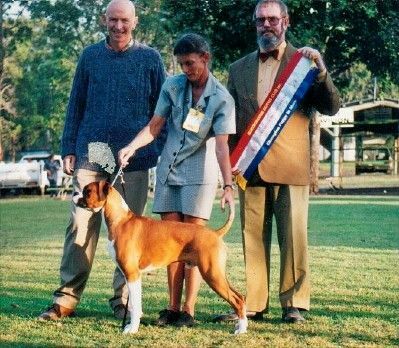 Monty loved the show ring, and always made his presence felt. 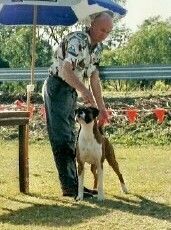 Monty was a group and in show winner numerous times. Monty's musculation is clean and powerfully developed and stands out plastically from under the skin. Monty combines a considerable degree of elegance with the substance and power essential in a boxer. His movement and stride were free and alive with energy. His gait, although firm, was elastic and his carriage proud and noble. We thank the judges who acknowledged his qualities.